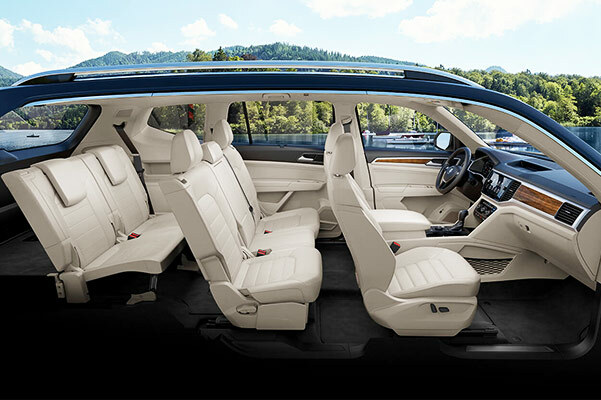 If you want a 3-row SUV that has a comfortable cabin and luxurious amenities, come check out the stunning 2018 Volkswagen Atlas 2.0T S at our VW dealership near Downey, CA. Whether you're hoping to upgrade your family adventures and get more space for family and friends or you want a new SUV that has all the latest technology, the 2018 Atlas SUV is the answer you've been waiting for. Compare the 2018 Atlas to competition like the 2018 Nissan Pathfinder, 2018 Toyota Highlander and 2018 Honda Pilot to see why so many drivers in Southern California are buying this VW SUV! Compare the 2018 Atlas trims to models from competing brands to find the right new Volkswagen SUV for your budget and lifestyle. 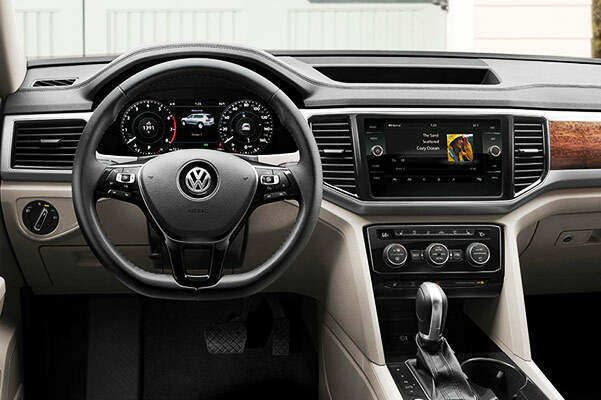 Schedule a test-drive at McKenna Volkswagen Cerritos and see how you can buy or lease a 2018 VW Atlas near Downey, CA!